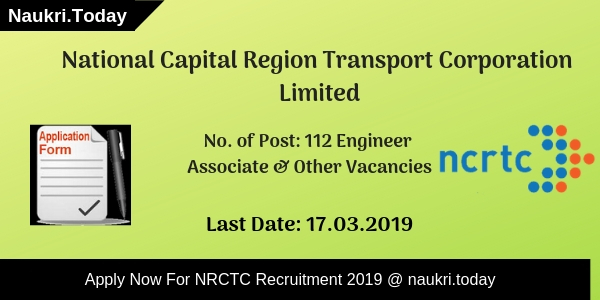 Hello Friends, are you waiting for TNFUSRC Recruitment 2019? If yes then here is a nice opportunity for you. 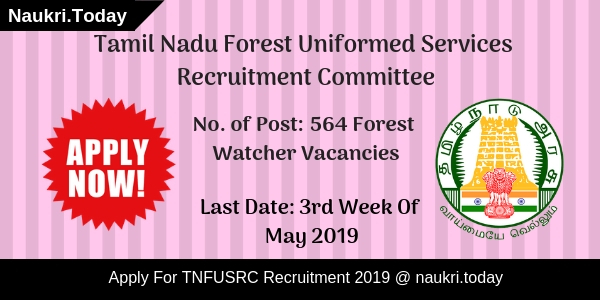 Tamil Nadu Forest Uniformed Services Recruitment Committee has issued notification for 564 Forest Watcher Vacancies. Applicants who are interested & eligible can apply through online mode. Online registration for TNFUSRC Forest Watcher Vacancy 2019 is going to start in the First Week of May 2019. Participants must submit application form till 3rd week of May 2019. For more details, candidates must read the given below article carefully. Must have qualify in S.S.L.C. Exam. Any other exam equivalent to this. Pay Level Applicants will get salary on the basis of Level-3. What Are The Physical Standards Set By The Department For TNFUSRC Vacancy 2019? In Endurance Test, Applicants will have their physical test in which they have to walk. For Female & Third Gender: 16 Km in 04 hours. Conclusion: Tamil Nadu Forest Uniformed Services Recruitment Committee is inviting applications for 564 Forest Watcher Post. Participants who are interested can fill application form for TNFUSRC Recruitment 2019. 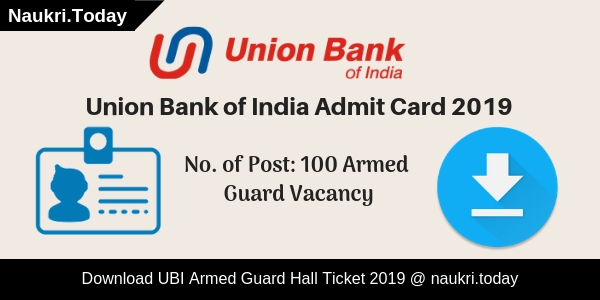 Applicants must submit their form till 3rd week of May 2019. Are you looking forest officer/ forest guard vacancy in Tamil Nadu State??? if yes, then here is an opportunity for you. Tamil Nadu Forest Uniformed Services Recruitment Committee has released notification for recruitment of 1178 posts. TNFUSRC Recruitment Notification is released for filling up Forester & Forest Guard vacancy. The starting date of apply online is 15.10.2018. Applicants can submit their TNFUSRC Forest Guard Job Online form till on 05.11.2018. Successfully applied contenders can participate in an online examination, which will organize very soon. Rest of information TNFUSRC Vacancy you may require to read below paragraphs carefully. Tamil Nadu FUSRC is inviting online application form for filling up 1178 Forest Guard, Forester & Forest Guard Driver post. This is a great opportunity for candidates those are searching TNFUSRC Jobs 2018. Applicants can submit their online application form from 15.10.2018. Closing date of submission TNFUSRC Recruitment online form is 05.11.2018. Furthermore, like eligibility criteria, application fees & how to apply for TNFUSRB Forester Vacancy? you can collect from below segment. Candidates those want to apply TNFUSRC Recruitment 2018 must fulfill eligibility criteria. It contains details of education qualification, age limit, and other parameters. The details of TNFUSRB Forest Guard Job eligibility criteria is mention below. Forest Guard: Applicant must pass Higher Secondary Course with Physics, Chemistry, Biology, Zoology or Botany. Those applicant going to apply for TNFUSRC Vacancy 2018 for Forest Guard Driver Post must have valid Driving License. For more details check TNFUSRC Job Notification. Forester: If you are going to apply for TNFURSC Forester Vacancy must have Bachelor Degree in Science or Engineering. Subjects are mention on official notification, which is mention below. The minimum age required for TNFUSRC Forester Jobs 2018 is 21 years as on release date of notification. The upper age criteria are made as on category wise. In below section, you can check TNFUSRC Forest Guard Recruitment upper age limit according to the category. Applicants have to pay Rs. 250/- with the applicable charge towards exam fees of TNFUSRC Vacancy 2018. The fees will pay through online mode only. Applicants can pay their fees either online payment gateway or online generate challan. For more information check TNFUSRC Recruitment notification. Those candidates are selected for following vacancies will also receive an attractive salary. The selection of the applicants will be based on the basis of the Online test, Endurance Test, PSD and Personality Test. First, the department call for online examination. After that qualified candidates will call for an endurance test, Physical test and Personality test. The maximum marks of personality test are 25. The ratio of selection for candidates TNFUSRC Vacancy is 1:3. Furthermore, checks TNFUSRC Forest Guard Syllabus & Notification. Interested and eligible candidates may apply for Tamil Nadu FUSRC Forester & Forest Guard Vacancy through online mode only. The last date of submission application form is 05.11.2018. Before going to fill up TNFUSRC Online Form candidates must have valid email id and mobile no. You may also have a scan copy of photograph & signature. Now follow the instructions to apply online for TNFUSRC Forest Guard Jobs 2018. First of all, go to the official site forests.tn.gov.in. Download TNFUSRC Forester Vacancy Notification. Read the full notification properly. Now click on the link apply online for TNFUSRC Job 2018. Enter details like name, address, gender & other personal. Now fill education qualification-related information. Upload Signature & photograph on your TNFUSRC Recruitment 2018. Make payment of examination fees through online only. Recheck full TNFUSRC Online Form and then submit it. Take the hard copy of your application form for future uses. Conclusion: Tamil Nadu FUSRC Department has issued an advertisement for employment of 1178 Forester & Forest Guard post. Apply Online for TNFUSRC Recruitment 2018 from 15.10.2018 to 05.11.2018. The examination date will announce very soon.